North of the Bergruken, upon the broken slopes of the Massif the sun’s fading brilliance outlines the ancient ruins of the once thriving metropolis of Gaxmoor. The former beacon of Imperial power mysteriously vanished ages ago. Now it has returned, beckoning brave adventurers to explore its ruins and crypts, and to vanquish the chaos and evil that lies within. 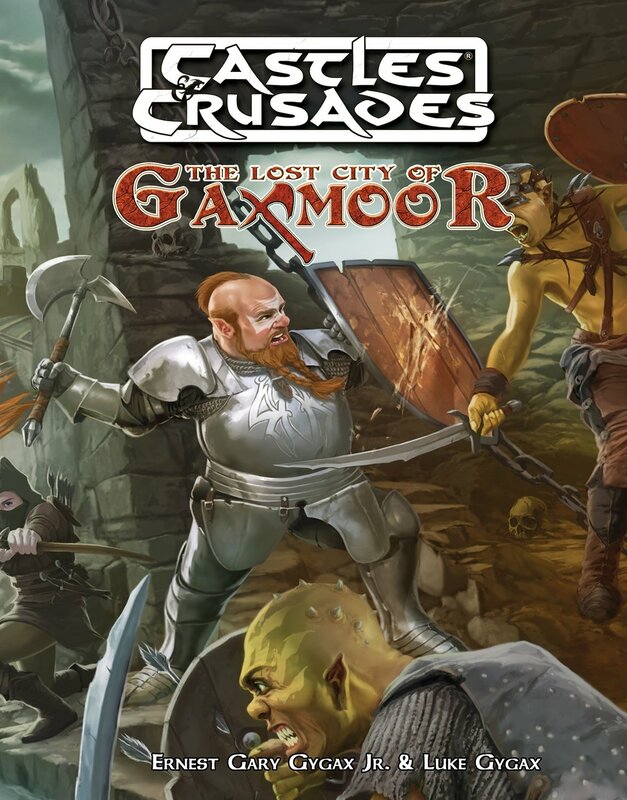 The Lost City of Gaxmoor is a complete adventure setting that takes characters from levels 1-10. Playable in any home brew setting or in the World of Aihrde!